Mechanism theory: I am deeply involved in research on machines and mechanisms theory and I am quite active in IFToMM, the major scientific society for this field. I was Chair of the 12th IFToMM WorldCongress that has taken place in Besancon, April 17-21, 2007 and of IROS 2008, being held at Nice, see here for a photo of the race). 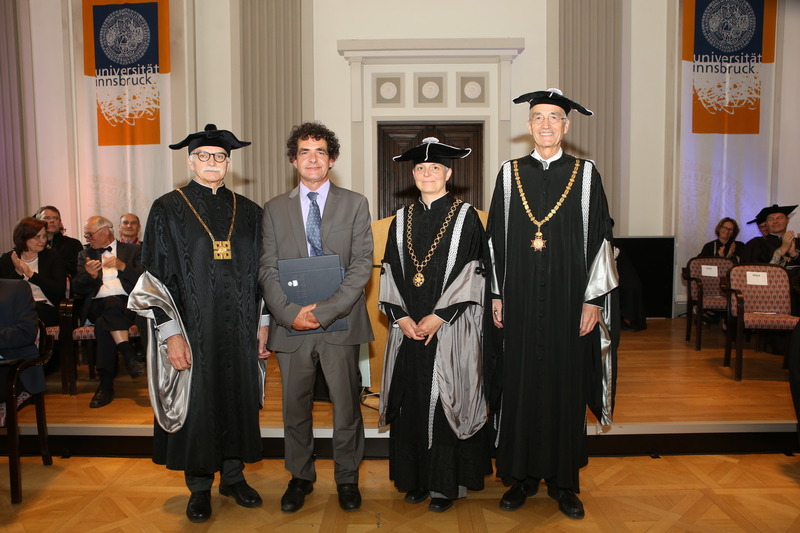 I was president of the French Committee of IFToMM, the international federation for the Promotion of the Science of Mechanisms and Machines which regroup about 50 countries and I am member of the Executive Council of IFToMM since 2011. I am a member (and former chair between 1997 and 2005) of the IFToMM technical committee on Computational Kinematics and a member of the IFToMM permanent commission on History. I am also member of the IFToMM Permanent Commission for Communications, Publications and Archiving. As for conferences I am or was member of the Scientific Committee of multiple IFToMM conferences, the next one I will organise being ARK in 2016. 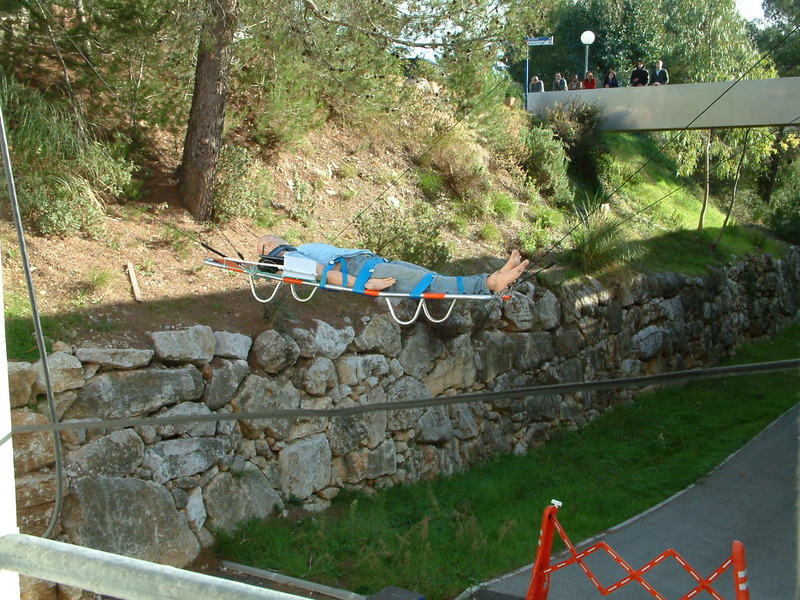 Parallel manipulators (Stewart platform and others): ( a state of the art (2002), some open problems (1999) ). 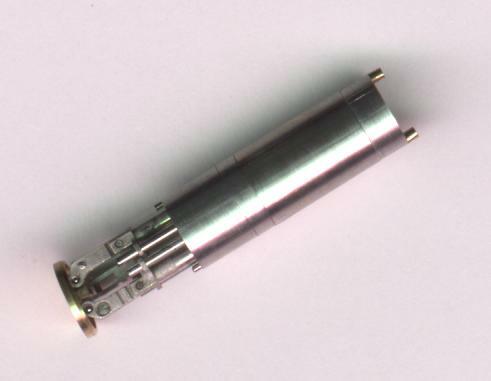 Some examples: version 1 of the micro-robot MIPS with 3 DOF for endoscopy (1998): diameter 7mm, length 2.5cm, version 2 of the micro-robot MIPS with 3 DOF for endoscopy (2000): diameter 8.6mm, length 2.5cm. Since 2004 I am working on a new type of parallel wire-driven robot with applications in medical rehabilitation (with force control), service robotics and ultra-fast pick-and place (with velocities expected to be larger than 100m/s). The new prototype first move has been in mid 2007 (see here for the first video, avi format 7.3 Mo). One important feature of this robot is that it will be modular: it's geometry may be adapted to the task to obtain the most appropriate performances (we will not use the same robot for ultra-fast pick-and-place and medical robotics...). We are working on the development of algorithms to determine which geometry is the most appropriate for a given task, while taking into account that the physical instance of a theoretical solution will differ from it, due to unavoidable errors during the manufacturing. 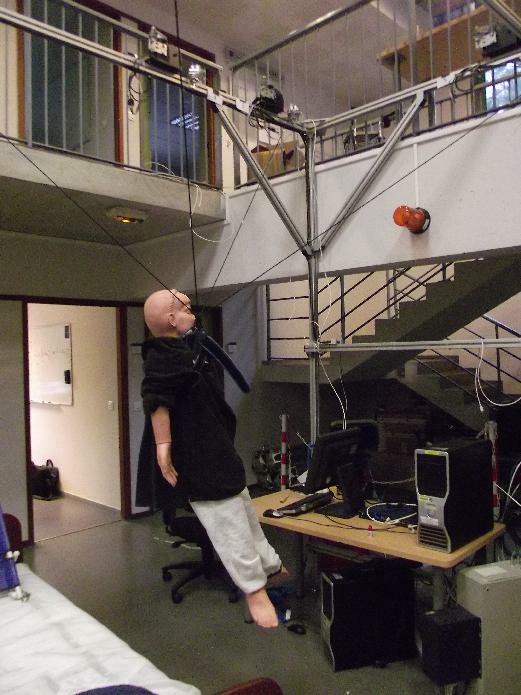 Cable-driven parallel robots: Since 2008 I am working on several prototypes of cable-driven robots such as MARIONET-REHAB whose maximal speed may reach 100m/s but is mostly used for rehabilitation. 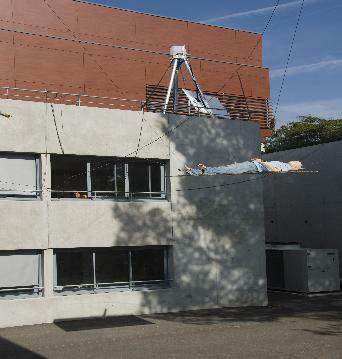 We have built in 2009 the large crane MARIONET-CRANE with a workspace volume larger than 2000 cubic meters, to be used as a rescue device during natural catastrophe (see photos of 5 of our 6 winches and of the manipulation of a victim ). 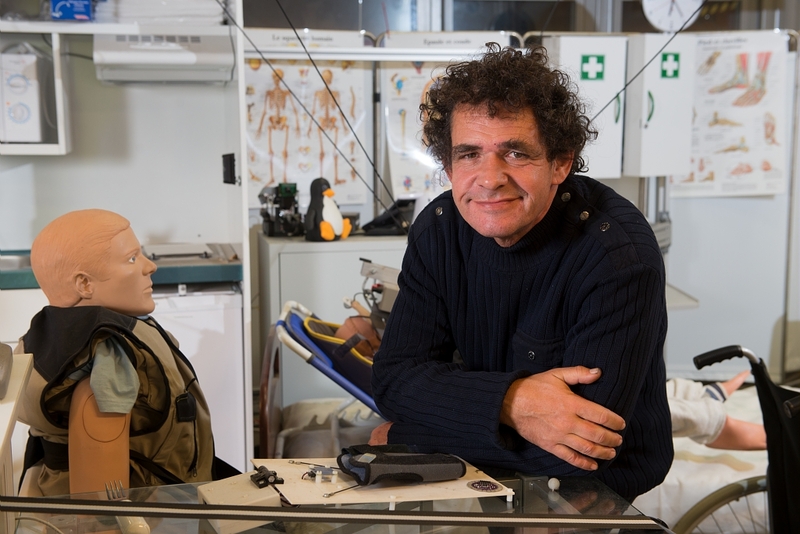 The MARIONET family includes also MARIONET-ASSIST, a robot used for transfer operation in assistance robotics (lifting elderly and improving their mobility), MARIONET-VR that is able to lift a human and will be used in an immersive room for rehabilitation and the MARIONET-SCHOOL's that are used for demontration and teaching teaching of scientific concepts in mathematics, physics, mechanics, control, computer network.. The use of these prototypes have shown that there was severe discrepencies in their theoretical analysis, which differ slightly from the analysis of parallel robots with rigid legs as cables can pull but cannot push. I am currently completely revisiting all aspects of their analysis in order to provide a sound theoretical background. 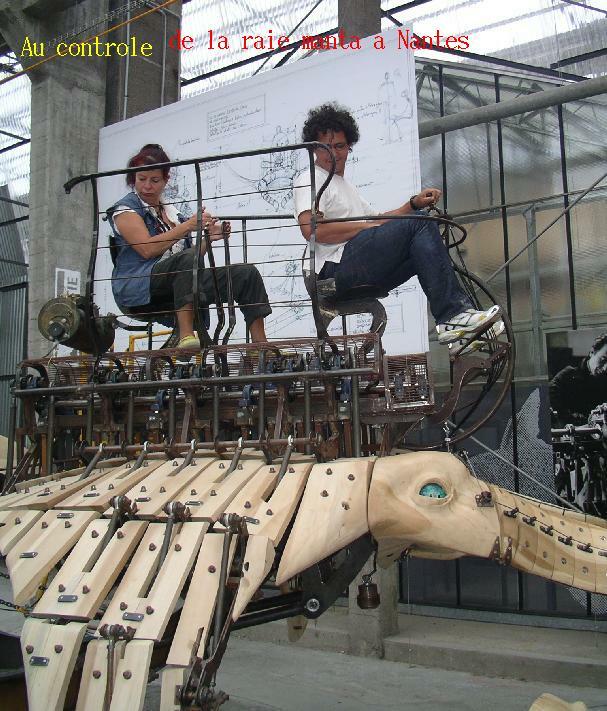 The MARIONET family of cable-driven parallel robots :REHAB, CRANE, ASSIST, VR, SCHOOLs, see here for other examples. 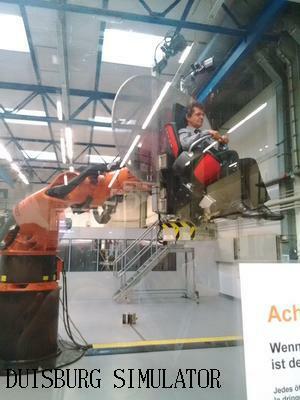 Assistance robotics: we have started in 2009 a long term effort on this topics. Our purpose is to develop systems fulfilling real needs, with a low intrusitivity, various interfaces and being low cost (guidelines and priorities are given here while developed hardware are presented here). For that purpose we will use only standard hardware, relying on modularity to adapt the device to the situation. We have taken the time to consult several experts in this field (pratician, end-users) to identify the needs and we have built a full scale flat to experiment with our devices. 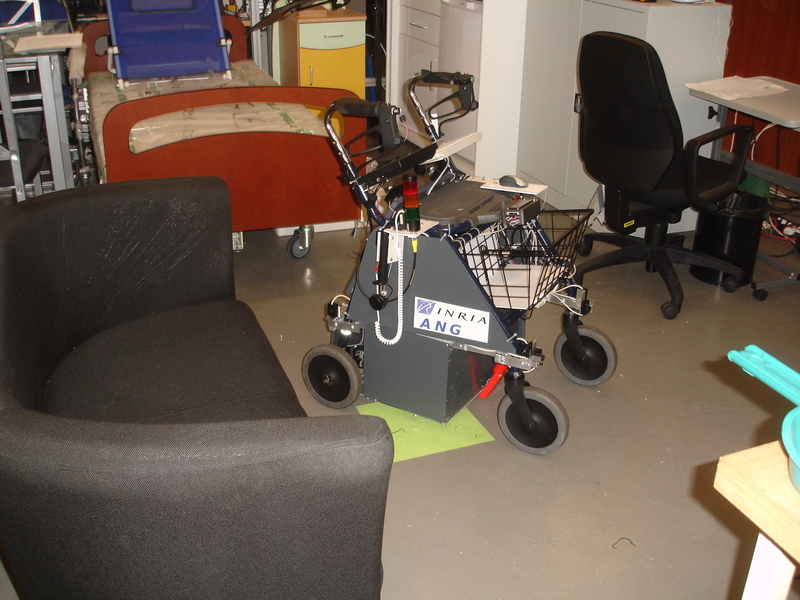 We are currently experimenting with our walking aid ANG which offers mobility help, fall prevention/detection, gait monitoring/rehabilitation, kerb detection (for updating stree maps), is able to vacuum cleaning and many other functionalities. 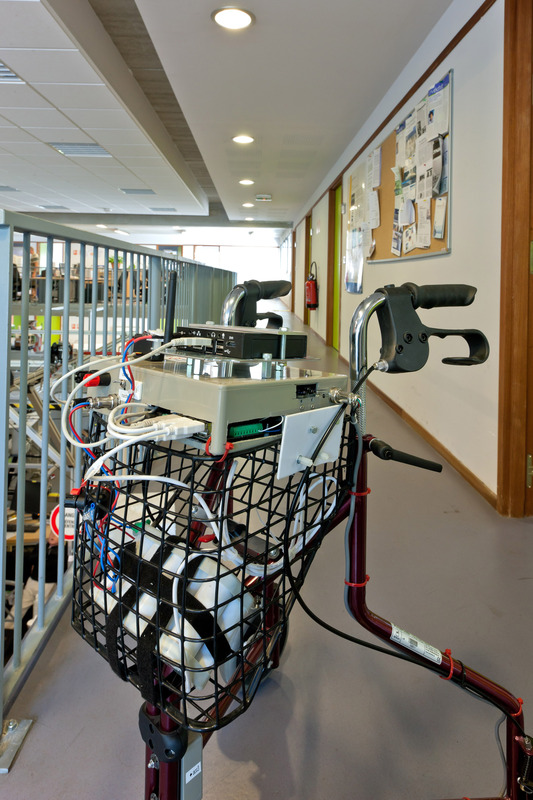 A lighter version ANG-light with encoders on the rear wheels and a 3D accelerometer allows one to monitor the traject of the walking aid. 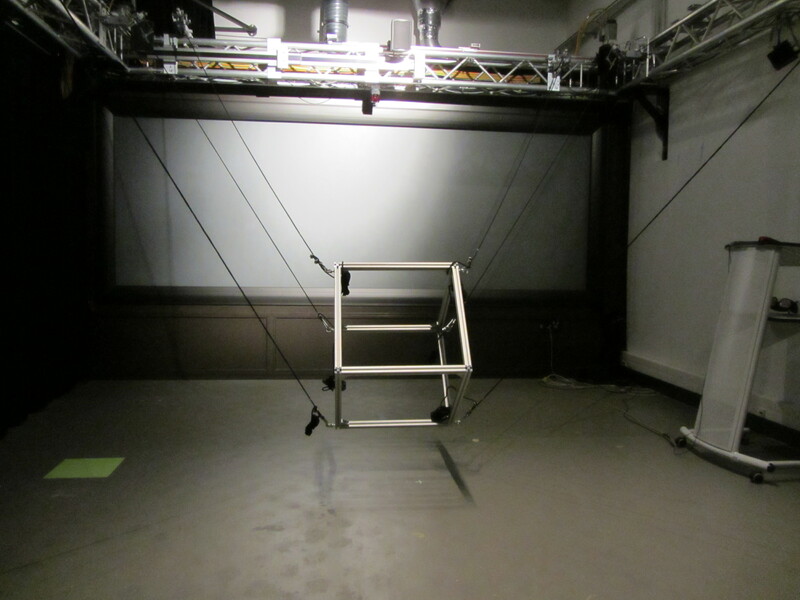 We are also installing a wire-driven crane that will offer assistance for lifting end-users, provides a walking aid and is able to manipulate objects. A larger one will be installed in an immersive room together with a motion base for building a modular, flexible and affordable rehabilitation station. An important point is that all these devices are also smart objects that can communicate with each other in order to collaborate for dealing with distress situations such as a fall. These actions were part of the large INRIA initiative PAL (Personnaly Assisted Living) which regroup 10 INRIA teams working on the topic of assistance for the elderly/handicaped people. For these topics I am developing various assistance devices with embedded computers and hardware such as Arduino and Phidgets which are coupled to various sensors and actuators.An important point is that these objects are multi-functionnal: they may assist but also monitor human health (with a high protection for the data and repecting at best human privacy). Our monitoring goals are to design the assistive device for providing the best data in spite of the unavoidable sensing errors and then to merge/fuse the data to provide synthetic health indicators, usable by doctors to detect trend and possible pathology, taking into account sensing errors and human variability. The methods we are using are a mix of signal processing, deterministic (based on interval analysis) and statistical algorithms both for the model we are using (whenever such models exist) and for managing human variability, while we are also looking at learning algorithms that will be model-free. Our long term goals are to provide medically pertinent indicators, adapted to the subject and the doctors needs, with associated information on their validity, while being able to detect rare events that may be the announciating signs of a pathology. Interval analysis: I am developing both the mathematics and the implementation of this mathematical tool that is often very appropriate to manage in a realistic way problems of robotics and mechanism theory (see here for a tutorial and examples of applications) and more generally the appropriate design of systems that will provide almost all design solutions that are guaranteed to satisfy a given list of requirements in spite of unavoidable differences between the system model and its physical instance. I am the main developer of the ALIAS library, a mixed MAPLE/C++ library, that allow to manage efficiently interval analysis. I am also involved in algebraic geometry which often play a major role in mechanism theory. studied with geometrical and numerical methods. the famous bibliometry indicators that are now very often used to evaluate the scientific impact although they are very often not well mastered, used and understood (see for example the 2007 analysis document (in French) and its english version of INRIA Evaluation Board on this subject). A small exercise: let FI=m/n where n is a fixed integer and m a measure that is guaranteed to lie in the range [k,7k] where k is known 1: determine the possible range for FI 2: relate this calculation to journal impact factor presented with 3 digits. ALIAS (html documentation ). This software is free-of-use for academy. It is available for PC/Linux and is constituted of two parts: a C++ library (to use with g++ 2.5 or 4.1) and a Maple (version 5.5 or 9.5) interface. Currently ALIAS is not downloadable but we are working on it. Note 1: This is only an informative service, no copy of article can be made. However you can get directly references for which a link GET IT is shown. New: The references database has now a search tool allowing to submit queries on authors, title, year, address (for conferences) and keywords. A parallel robot has a mechanical structure that is determined through the structural synthesis, an approach that relies on design theory and mobility analysis. See the chapters Architectures, patent and ... DOF Robot. You may also check if the considered structure has not been aleready studied (use the above link to the robots drawings). We must also take into account the hardware, such as the actuators and the passive joints. For control (authors A-L, authors M-Z) we will need the Forward Kinematics (authors A-L, authors M-Z) to study trajectories and to plan them (motion planning) We may need also to perform a calibration of the robot. Some parallel robots are special due to their actuation mode (binary robot or wires-driven robots (authors A-L) (authors M-Z) or because of their special mechanical architecture: decoupled robot with translation and orientation that can be independently controled, flexible robot, hybrid robot, mixing serial and parallel architecture, modular robot whose geometry can be changed to adapt the robot to the task at hand, redundant robot with more actuators or sensors than necessary or singular robot that are always in a singular configuration. 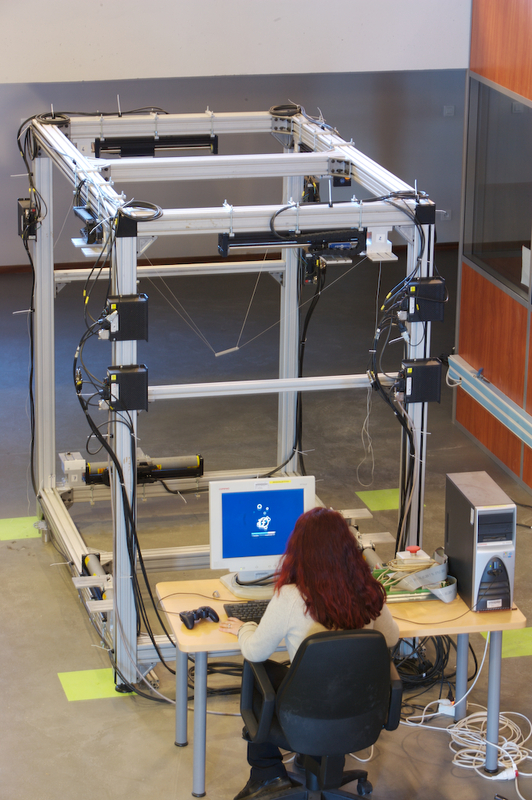 The applications (authors A-L, authors M-Z) of parallel robots are multiple: force sensor, crane machine-tool, medical, micro-robot, simulator, articulated trusses.